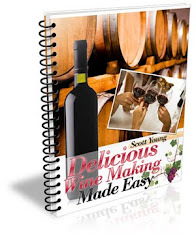 HOW TO MAKE WINE AT HOME: Let's Make Mango Wine ! Let's Make Mango Wine ! 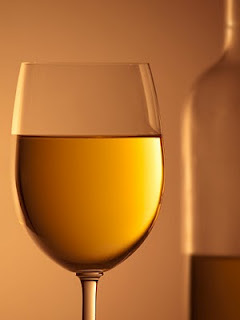 Mango wine is a delicious, fragrant and golden wine, though it takes patience to make and time to age before you can enjoy it. This wine goes with almost any meal and tastes great over ice. 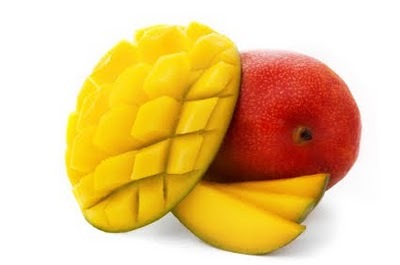 The following steps will show you how to make your own mango wine. Put 3 to 4 pounds of fresh, peeled mango into a straining bag, tie the bag and place it into a primary fermentor. Use a potato masher or your hands to mash the fruit. Measure out 3 and a half quarts of water into a sauce pan and bring the water to a boil. Add 2 and a half pounds of sugar and stir until the mixture is a syrupy consistency. Allow the syrup mixture to cool until it is a little warmer than room temperature. Pour the syrup mixture over the mango in the fermentor. Measure out 1/4 teaspoon of tannin and add to the fermentor. Also add 1 1/2 teaspoons of acid blend, 2 campden tablets and 1 teaspoon of yeast nutrient into to the mixture. Cover the fermentor and store for 1 day at room temperature. After this time period, add ½ teaspoon of pectic enzyme and cover again and let sit for 12 more hours. Add 1 teaspoon of Montrachet or Champagne wine yeast to the fermentor. Squeeze the straining bag 2 to 3 times a day for 10 days. After the tenth day, drip drain the bag into the mixture and squeeze to get all the juice out. Discard the bag and pulp. Allow the wine to set overnight and siphon it into the secondary fermentor. Do not stir before pouring. You don't want to stir up the sediment on the bottom of the fermentor during this process. Attach the airlock to the secondary fermentor. After letting it sit for 30 days, siphon the wine off the sediment (called racking the wine) and return the wine to the fermentor. Rack the wine again once every 2wo months for 6 months and let it sit for 10 days before racking it into bottles. 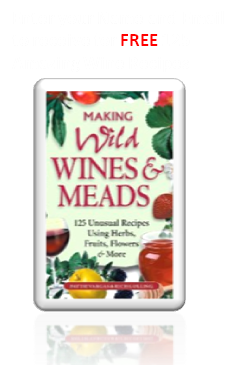 While grapes are mostly known as the primary ingredient in wine, other fruits can also be made into wine. And I can’t see why mango can’t be one of them. Mangoes are my favorite! Thank you for showing us how to make mango wine. I will most definitely be fixing myself a glass in the future.